New member here. I produce film music and also been doing some 80's retrowave/synthwave music. Didn't wanna go the Photoshop/Illustrator route with the subscription so found Affinity Designer (also iDraw/Graphic) but seems Affinity is the better one here? 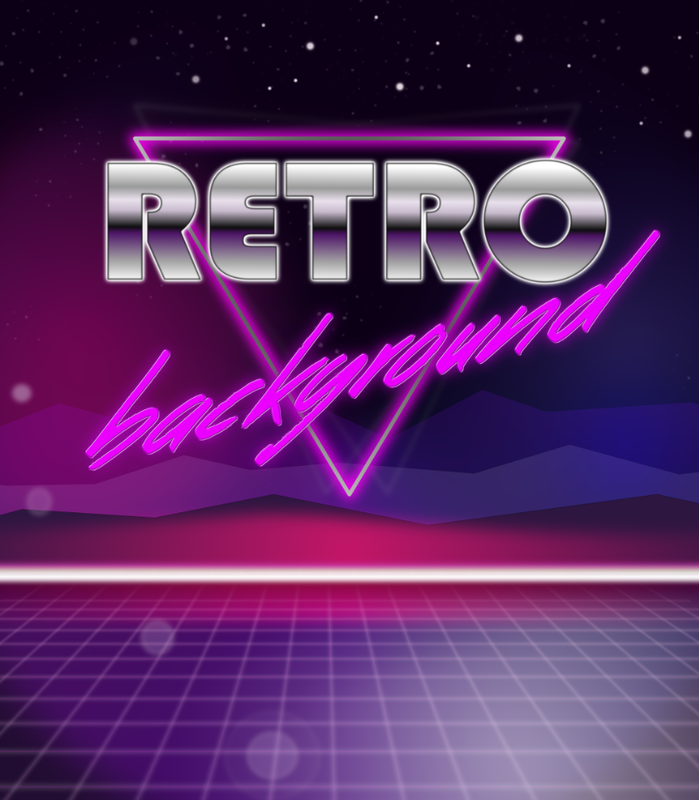 The 80's retro designs with cool backgrounds, layers and reverse pyramid designs with some cool retro fonts with layers (behind) and sometimes adding effects like shimmer/lights and splitted colours in the text string. Is this possible in Affinity and do you guys know what the effects are called? I could also just find a background and make a nice font to it. Oh yeah, how many/good are the fonts if I want to make the typical Retro designs inside Affinity?? Much much appreciated and all feedback is welcomed. 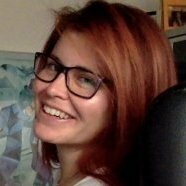 I will absolutely watch the stickies with the tutorials and perhaps I'll learn more from there, but wanted to give you some examples. Regarding fonts, Affinity Designer/Photo doesn't include any fonts. It uses the fonts installed on your system but you can download and install more (for free) from sites like FontSquirrel, DaFont etc or buy them on commercial sites like MyFonts, FontShop etc. Hey man! Thank you so much for the fast and very good response ! I will absolutely look into that and see how far Affinity can take me with my basic skills, hope I can improve it and start off soon! About the Fonts - ok cool! Thx for the sites. Can the texts also be divided in multi layers/colors in the background ? Or maybe you already answered that! :) Lens flare was something new I will look into. Again thank you very much for quick and very good response and explanation. All the best! Hi mate! Thank you so much for the friendly approach, much appreciated! Cool designs you've made also. Or is it explained in the Work book? Was thinking of buying it to get a good introduction. Then about filters for photos, are there some filters included like this picture for the city sepia and the vintage filter of the beach? And lastly, are there included "pictures" or frames like cars or palm trees (they can be black shapes also) ? Hello Graviola, the night sky is a tutorial in the workbook. and it is a good way to start. in designer it is not so hard to create a retro design. i am no pro and came to this. Maestro! Thank you SO much, I am preetty blown away!!! I will update this thread with some examples - or post it in the My Designs forum. Will def buy the book to have a better grasp at all the functions. The design you made is totally awesome - thanks a LOT! 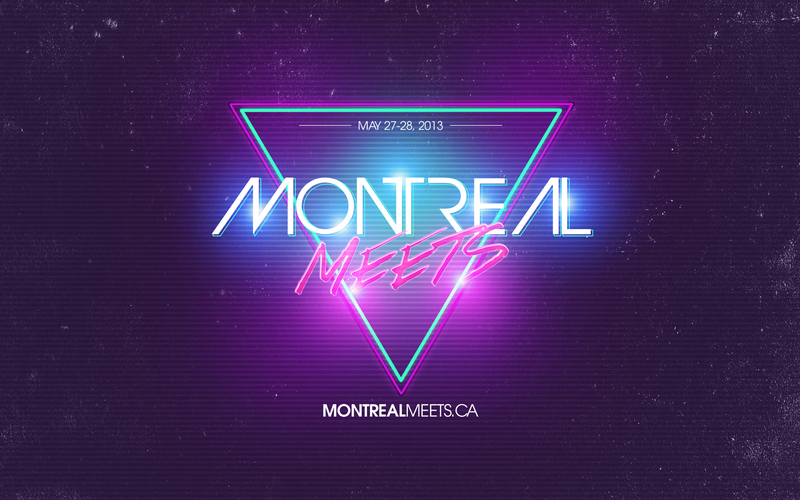 Love the shadings in RETRO as well as the background, colours and the square base. As dutchshader mentioned, the night sky is one of the chapters in the Designer workbook. It comes in after the sections on interface description, and core skills. So be prepared for at least some getting used to where everything in the program is, and basic skills like level layering and grouping. There is also the Google Fonts repository of free, open source fonts. It includes "only" 800-odd fonts, but they all seem to be of reasonably high quality & some are quite popular. For example, Google claims that Roboto (which is used in the Grade UI Kit free with the purchase of Affinity Designer) is 'featured" on over 12 million web sites, whatever that means. There is also the Google Fonts repository of free, open source fonts. @GraviolaB17, you asked, "Can the texts also be divided in multi layers/colors in the background ?" Text is just as flexible in Designer as the other objects and just as editable. For example, you can type a word, maybe "GREETINGS" and put each letter on a separate layer, make each letter a different font, style it differently with any number of effects & colors. If that isn't enough, you can convert each letter from text to a curve shape and manipulate its shape as a vector, independently of the other letters. You can Google many tutes on the Internet for "Retro Text Effects," some made for Designer and others made for other drawing programs that you can translate into Designer. Guys guys guys you're totally awesome!! having the design it has. Would be super happy if just the commando or where in AD I'll find these parameters for the incline of the grid/gradient. Hope you understood my question, and again thanks for everything so far! i did not use the grid, just some lines. My friend! Thank you So much!! This is so nice of you! I realized now that the function I am after doesn't exist in Affinity Designer?! Perspective / live tool like in this video which I think is a little weird? Think it should be a standard thing even for AD and AP. Anyone know if the function is coming or will? I'll text the mods or the team to see what the idea is! Anyhow thank you very much I will look into it! The perspective tool in photo is pixel based, i believe there are plans for a vector based tool for AD. And again, thanks for your help it has been great! Can't thank you enough! 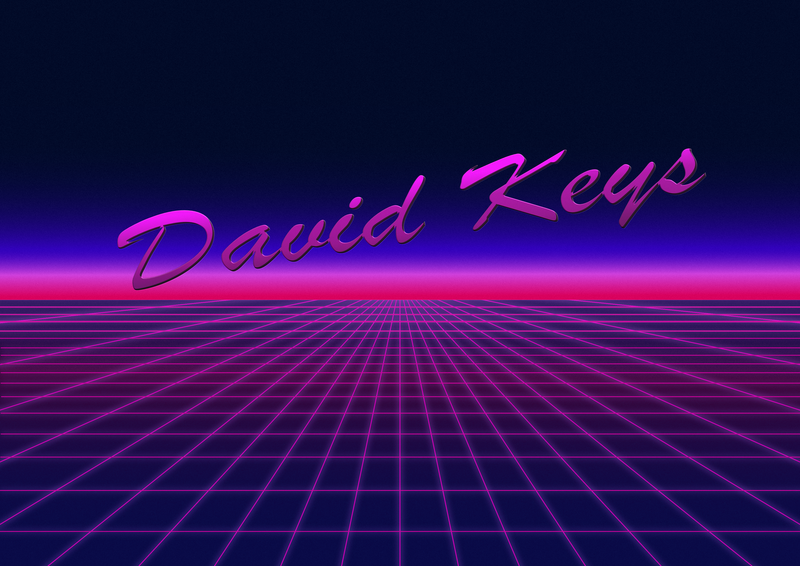 Hi GraviolaB17 and anyone interested in this 80's retro wave style graphics. I had a lad yesterday asking me if I could make a tutorial on how to create a typical neon grid floor on AD. He, just like you was wondering how to do this without a perspective tool, so I created this tutorial to show him how I'd do it myself as of today with the tools available. In any case and as the other members and moderators pointed out, all of this and much more is possible in Affinity Designer! Just wanted to say Thank you everyone for your tips and recommendations, extremely helpful! I play a lot of piano and was also thinking of Miami Key West and the palms .. why some palms would spice it up a bit. I am thinking of maybe add a sun or have a sun and mountains on all the singles of my first EP or have it as an album cover of my first EP that will be released sooner this year or next year! So the sun+mountains and stars and everything was SO helpful Isabel! Cannot thank you enough and also all the other guys here! The picture is absolutely not finished yet, the text seems a little bit... I dunno, too fat and not as noisy and retro as I want, but I will experiment til I get it. It seems a little bit too "plastic" or ..not that Sharp as I want. Ah, I'll see! Palms, sun and mountains and a triangle like dutschader showed will be the next ! If anyone know if there's a good tutorial in the AD vimeo or in the workbook (not home atm but will look later) how to work with vectors like in the video that'll be cool, want to copy some palms in there perhaps...but will try to figure it out myself first! Hope u like my design and thanks for everything guys! ps. Another user did another tutorial, but in Affinity Photo! A great one too I must say! What heroes there are out there! Cannot wait til Affinity Designer will get the perspective tool ... maybe there's a way to do a grid yourself and just "stretch it out" somehow. Anyhow Isabel's trick is awesome, worth gold!! !